I’ve just started developing a simple water shader that will work with Armory3D. 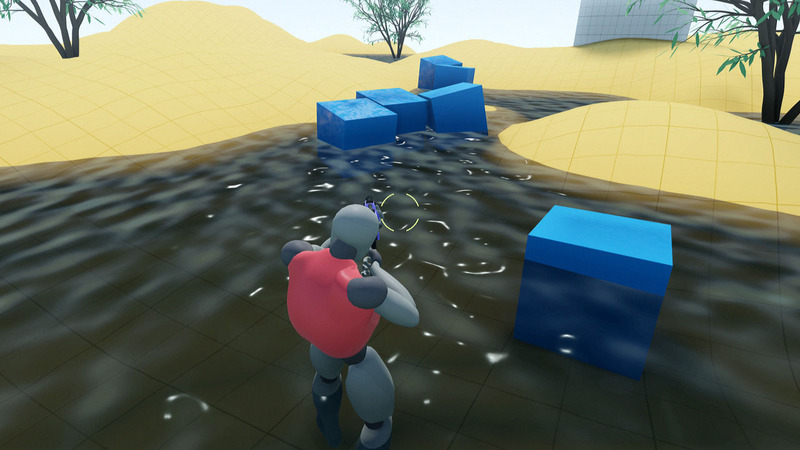 It is really for smaller bodies of water or liquid and works differently to the main Ocean shader. How does this ocean example work? Looking nice! Have you experimented to see what it looks like with the ripples smaller? You can easily change the size of the ripples by increasing the Scale value on the LiquidFX node. Hey that looks pretty nice! Do you mind uploading it to GitHub ( I can’t get to Dropbox, and it might be a good idea just for discoverability anyway )? 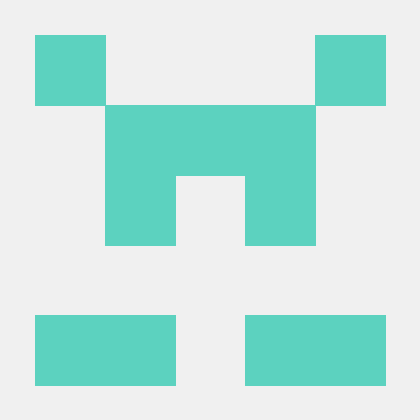 The latest version 1.1 is now on GitHub. Thanks so much for sharing, completely in love with it. Translucent thingies do not interact with SSR yet, could do something about that eventually. Can you add splash to water and maybe foam for ocean ? I’ve added a directional flow-rate controller. 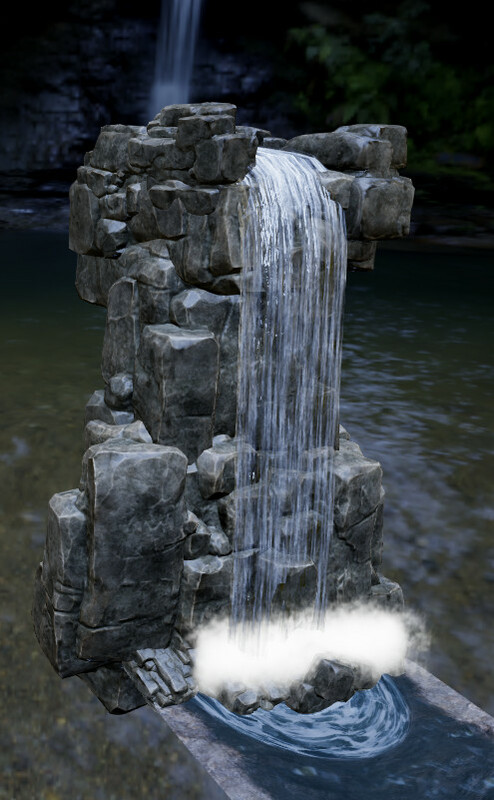 This update adds a sub-surface refraction effect and a ‘lava’ example. LiquidFX version (1.5) March 2019 is available for download. See top post for the links. 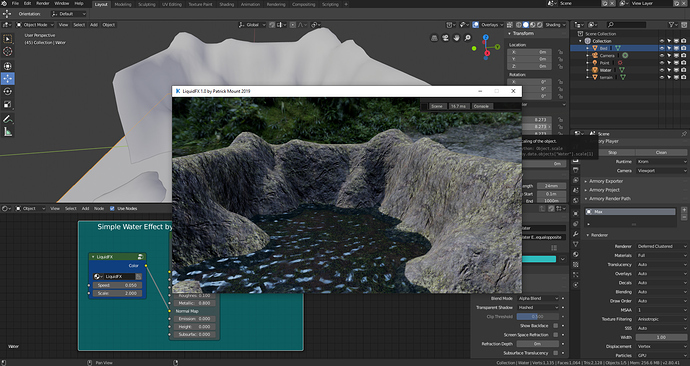 - added a simple flipbook node for animated normal maps. That looks cool! Good job @sigm7zero.